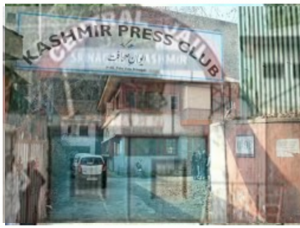 The president of the yet to be hatched kashmir press club has asked the state government to convert srinagar central jail into Aiwan e Sahafat (press club). The demand was made by Salim Pandit after he was given an exclusive tour of the jail by his sources in a dream last night. Pandit said he was bowled over to see all the facilities he fancied for the press club available at the central jail. 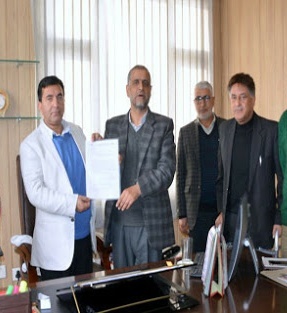 In his letter to the state chief secretary Pandit said that it was an injustice that prisoners were availing more facilities than journalists. “I am not a blue eyed boy. I mean even though I am. But how can prisoners be blue eyed,” Pandit said. Asking the state government to take back the Poloview building and give it to prisoners, Pandit said the central jail was best suited for journalists. Director information Muneer-ul-Islam confirmed to Dapaan that the government has received Pandit’s letter. “He has also mentioned that since mutton choppers and knives for mincing and making ‘kebabs’ are readily available in central jail, it would be easy for KPC to use that and enjoy Kashmiri Wazwan and other mutton delicacies there,” Islam said.